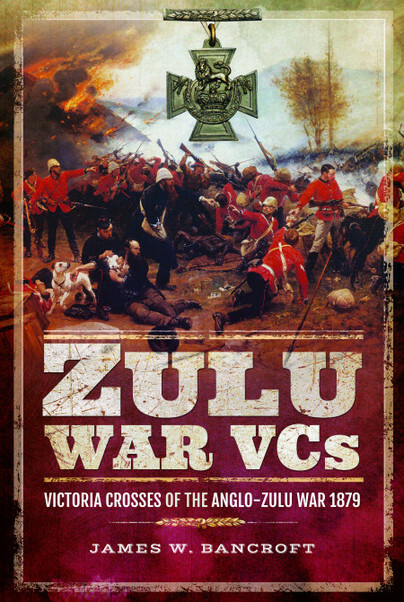 You'll be £25.00 closer to your next £10.00 credit when you purchase Zulu War VCs. What's this? The Anglo-Zulu War lasted only six months in 1879, but in that relatively short time twenty-three men were awarded the Victoria Cross for gallantry under most trying and dangerous circumstances. Zulu warriors gave no mercy and expected none in return, yet half of the awards were given to men who went back into the midst of fierce fighting to rescue stranded comrades, well-aware that they risked suffering a particularly brutal death. Two men received posthumous awards for their efforts to save the Queen’s Colour of their regiment after the disastrous engagement against overwhelming numbers of warriors at Isandlwana, and perhaps the most famous of all awards of the Victoria Cross were the eleven gained for the immortal defence of Rorke’s Drift, the battle brought back to the public consciousness by the motion picture Zulu! The conflict has never left the public’s imagination, and continues to stir hot debate among military historians and enthusiasts. With information compiled over four decades by James W. Bancroft, a well-known and respected historian and author of several publications on the subject, this book brings together more information about the men than has ever before been collected together in one publication. In a conflict that lasted for a relatively short six months, a little over twenty men (twenty-three to be exact), won Great Britain's highest medal for valor - the Victoria Cross. Eleven men won the elusive Cross during the iconic battle of Rorke's Drift (the most for any single engagement) on January 20, 1879. "Zulu War VCs" recounts the conflict from the first disastrous engagement at iSandlwana to the lats at Ulundi. Author Bancroft does an excellent job at first narrating the events leading up to and including the battle, then writing a detailed biographical sketch of each recipient of the VC; mention is also made of those men who were awarded the Distinguished Conduct Medal and mentioned in dispatches. This is an engaging, very readable account of one of Great Britain's bloodiest and shortest colonial wars. Strongly recommended. It brings together more information about the Zulu War VC recipients than has ever been collected together before in publication. The author, is a respected historian who is known for various publications on the subject. In the four decades James W. Bancroft has been writing he has produced more than 100 books and articles, the subjects of which reflect his varied interests. He contributed a number of articles for The New Oxford Dictionary of National Biography, and his book Rorke's Drift: The Zulu War, 1879 has been re-printed seven times. When he is not writing James enjoys singing and playing and listening to music.